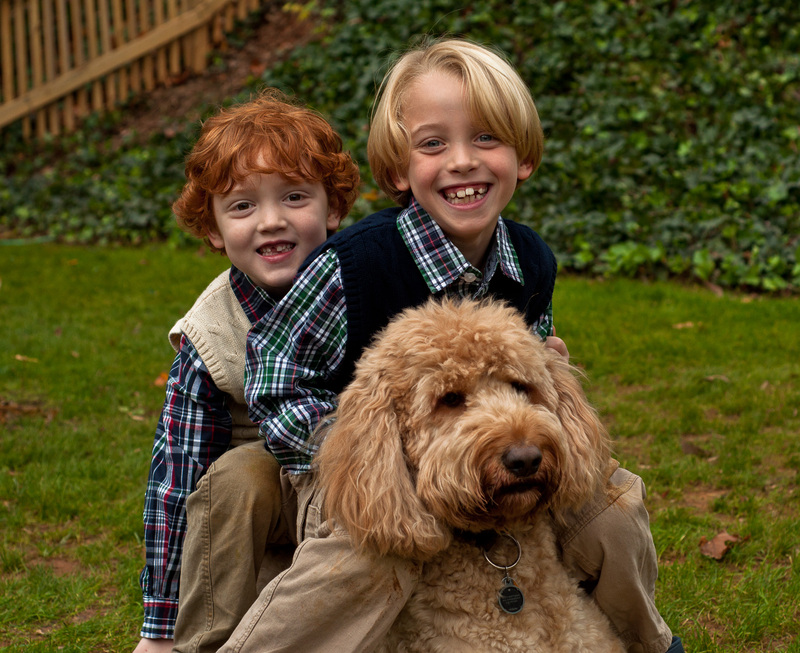 Our Goldendoodle Cody got an early Christmas gift yesterday. Santa dropped off a new Phish collar for him full of Fishman donuts. 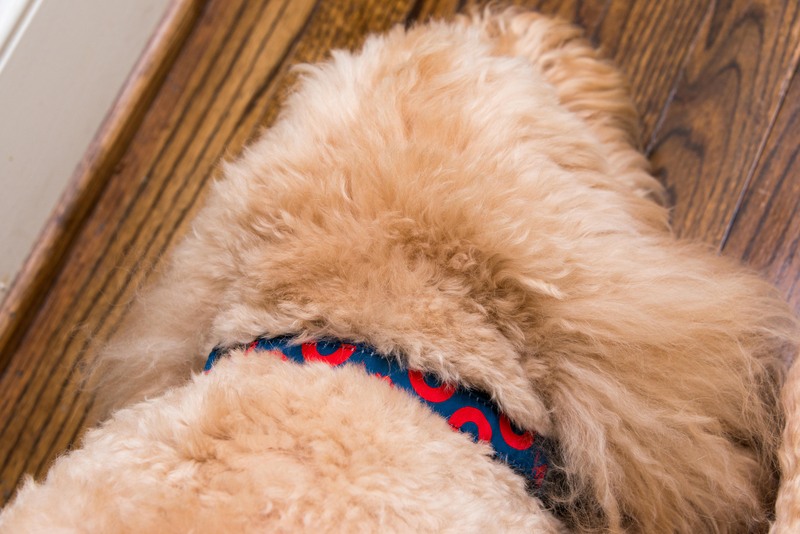 Cody the Goldendoodle is a huge Georgia Bulldog fan, and recently he borrowed some of our team apparel to show his team spirit. Here is a picture of him all dressed up. He will be ruffing on the Dawgs as they go down to Jacksonville and take on the Florida Gators which are ranked #2 in the BCS this week. The Gators pulled through for us last week by beating South Carolina, but now it’s time for a repeat of 2011. Today marks one year since Henry and I drove up to South Carolina and adopted Cody from some guy’s backyard. For the 8 months prior to our arrival Cody had been living outdoors and was not being cared for. His ears had matted up and all but grown closed, his coat was the same and looked like he was growing dread locks, and later learned that he had heart worm as well. Since coming home with us we have been on a constant road to recovery and are happy to say he’s a totally new dog! We were so lucky to find him, and I owe it all to facebook and my wonderful sister in law Stacy. 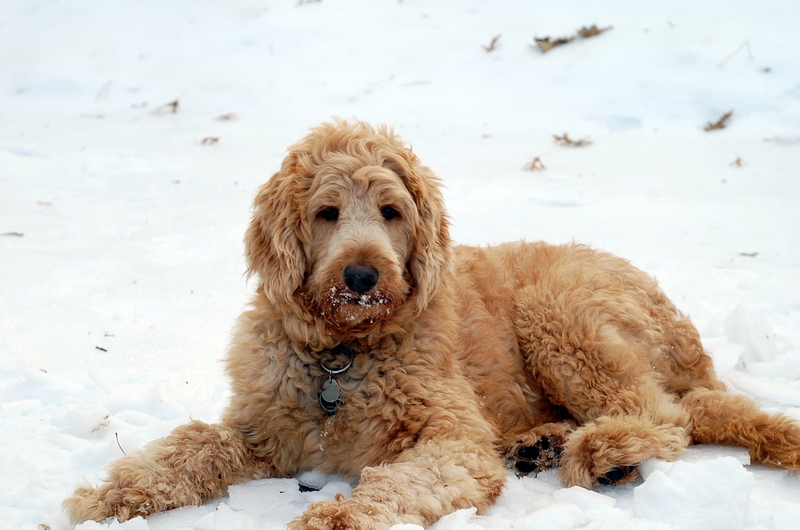 Just days before I posted that we were looking for a 1 year old Goldendoodle, a friend of Stacy’s told her about a dog named Echota that needed a new home…the rest is history. It’s hard to explain how awesome something like a new dog is. You know you want one, but like all things there is a huge unknown, but man has he blown away all of my expectations. He’s a great friend, he’s patient with our children, he loves a good car ride even if it’s just to school and back (picture head hanging out the window), he won’t climb on the furniture unless you make him, and he’s always looking out the window when you come up the driveway.